Federal agencies have started hiring at a significant clip following years of cutting their rolls, bringing total federal employment back to levels not seen since across-the-board budget cuts went into effect. 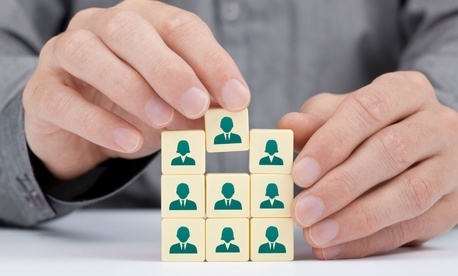 Agencies have added 41,000 employees in the last year, including 3,000 in July. Including the U.S. Postal Service, the federal government employed 2.79 million workers at the end of last month, the highest number since April 2013, according to data from the Bureau of Labor Statistics. Federal employment has dropped precipitously since the 2011 Budget Control Act triggered sequestration in March 2013, bottoming out at 2,726,000 civilian workers in May 2014. That marked the lowest number of federal employees at any point in the Obama administration and in the past 10 years. Consecutive two-year budget deals, struck in late 2013 and late 2015, have staved off the full impact of BCA spending caps and allowed agencies to start hiring again. Previously, agencies governmentwide were forced to institute partial hiring freezes that reduced the size of their workforces through attrition. Federal employment has grown for 13 consecutive months, however, and the workforce is now larger than when President Obama took office. The job numbers were aided by USPS, which employs 15,000 more workers than it did a year ago. The agency has been mostly adding or keeping steady its employment figures for the last two years, after more than a decade of shedding workers. Non-postal agencies have added 26,000 jobs in the last year, including 17,000 in 2016. 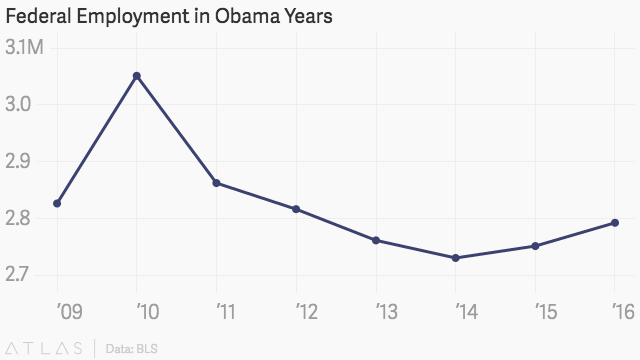 Excluding the 2010 hiring surge required for the decennial census, civilian employment still falls below the Obama administration high points seen throughout 2011 and 2012. The chart below shows a snapshot of federal employment levels in July of each year of the Obama administration.